The perfect object to help you recover from your stressful job or just the everyday stress situations! 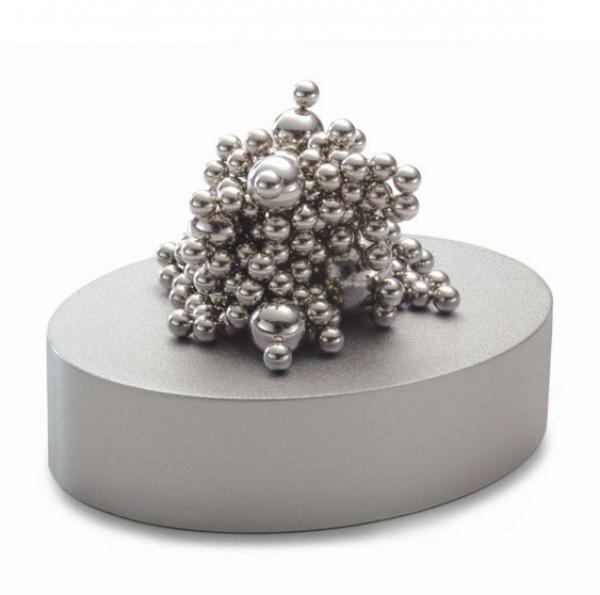 200 little steel balls on a magnetic stand invite you to play a dreamy game and build castles in the air. Perfect object to help you to deal with your daily stress. You can play with the 200 magnetic balls while you are on the phone or write some note and very soon you will feel relaxed.